I'm so sorry for your loss :( It's such a terrible and difficult decision to make. I said goodbye to my bun in September. I felt horrible but I knew that I was releasing her from a painful, uncomfortable life. She was blind and had lost the use of her back legs. I did the same thing as you and gave her ALL the treats I could find on her last day. 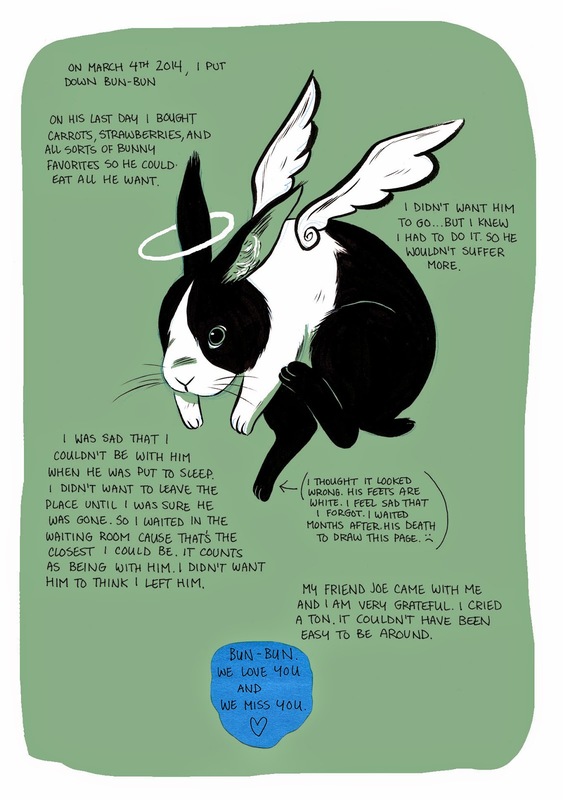 I'm sure Bun-Bun is thankful for the life you gave her while she was with you.